LONDON -- PSA Group said it would move ahead with recovery plans for its Vauxhall plants in Britain after agreeing to further talks with the UK's biggest trade union. The general secretary of the Unite Union, Len McCluskey, met PSA CEO Carlos Tavares in Paris on Monday just two weeks after the automaker said it would cut 250 jobs on top of 400 announced last year at its Ellesmere Port factory. The plant in northwest England builds the Astra Sports Tourer wagon, with the current run due to end in around 2021. PSA is due to decide as soon as this year whether to build future models at the site -- a key test of Britain's ability to remain competitive as it leaves the EU. 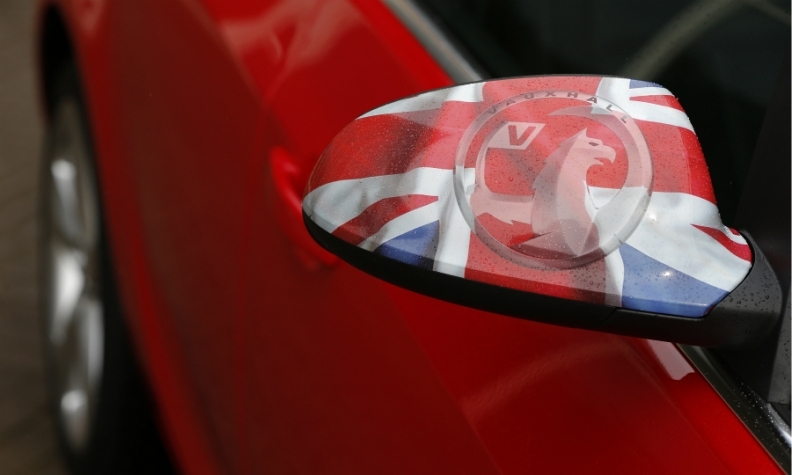 "Further meetings are planned to quickly move this recovery plan for Vauxhall's manufacturing sites to the highest level of performance, after years of degradation," Vauxhall said in a statement on Monday. McCluskey said he wanted to work constructively with PSA but threatened to damage the firm's car sales in Britain, traditionally Vauxhall/Opel's biggest market, if the company tried to shut a British plant. "I repeated our determination to safeguard the UK plants and, if needs be, our willingness to disrupt PSA’s UK market share if the company fails to support this loyal workforce," he said in a statement. PSA acquired Vauxhall and Opel last year when it bought General Motors' money-losing European arm, and has been pursuing a restructuring plan and cutting jobs to try to return it to profitability. PSA has said manufacturing costs in Britain are twice those of its French plants, and that it will only be able to make a decision on investment once this has been addressed, and it has a better idea of the shape of Britain's future trading relationship with the EU. Britain hopes to secure the outline of a transitional Brexit deal, which will form a bridge from its current EU membership into a new relationship with the bloc, by the end of March. Automakers are concerned that, without the right deal, their plants could be hit with tariffs and customs delays, putting their long-term viability at risk. McCluskey said he would seek to meet British Business Minister Greg Clark as soon as possible. "The three parties – PSA, Unite and the UK government – must work together now to give our plants a future," he said.